It has been a while since I’ve posted anything new on this blog. Even my most recent post was a duplication of something I’d written a few years ago. I confess it has been a struggle to sit and think about something other than a sermon. There have been countless other writing obligations, and the months of March and April have been filled with pastoral visits for joyous celebrations as well as for dreary, tense, and at times contentious, meetings. The celebrations I love. I say that to just about anyone who will listen. It is a delight to be with the people of God in praise and worship of our Lord. The meetings I could do without. But I made a commitment to myself to be as diligent as possible to post something weekly and I have fallen far short. I truly apologize. That confession out of the way let me proceed with what has prompted me to put words on paper. It is confirmation season. 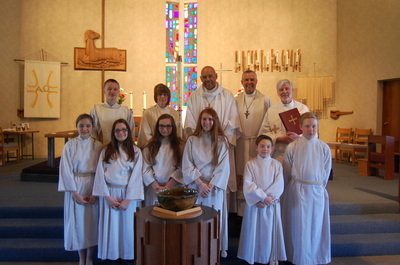 Over the month of May I will preside over at least four occasions in which youngsters will make public affirmation of their baptism, including one which will involve the youngsters whom I taught when I was still in the parish. The Pastors and confirmands at the Lutheran Church of the Good Shepherd, Brooklyn, Ohio, April 26, 2015. I look forward to these significant occasions. It has been and continues to be a thrill to my ears to hear these youth profess for themselves the baptismal promises their parents made for them years ago. · and to strive for justice and peace in all the earth. I wonder how many of us have really thought through the implications of those statements. That’s a pretty tall order for anyone, let alone a teen. The ELCA provides a handy manual that offers examples of how we can live out these promises in practical ways. The manual can be accessed by clicking HERE. Reading through these pages in the aftermath of the tragic devastation brought on by the natural disaster in Nepal and the strife and unrest created by the environment of systemic racism in Baltimore, I am struck by how so many of us are unaware or unwilling to admit that these are exactly the situations where Jesus is calling us to be present, the people that Jesus is calling us to care for, the places where Jesus is calling us to be. The reading from the first letter of John for the fifth Sunday of Easter is quite unequivocal in its command that we love one another. Yet it is so much easier to make a monetary donation to a charity and let someone else take care of the rescue efforts in Nepal, and go on with the rest of our lives. There is no shortage of opinions regarding the events in Baltimore in the aftermath of the death of Freddie Gray. But in the myriad of comments expressed in social media, I fail to see much more than shallow, irresponsible, self-righteous posturing that speaks more to our sinful humanity than our higher nature. So what is it that binds us? What is it that unites us? It is, pure and simple, the love of God. 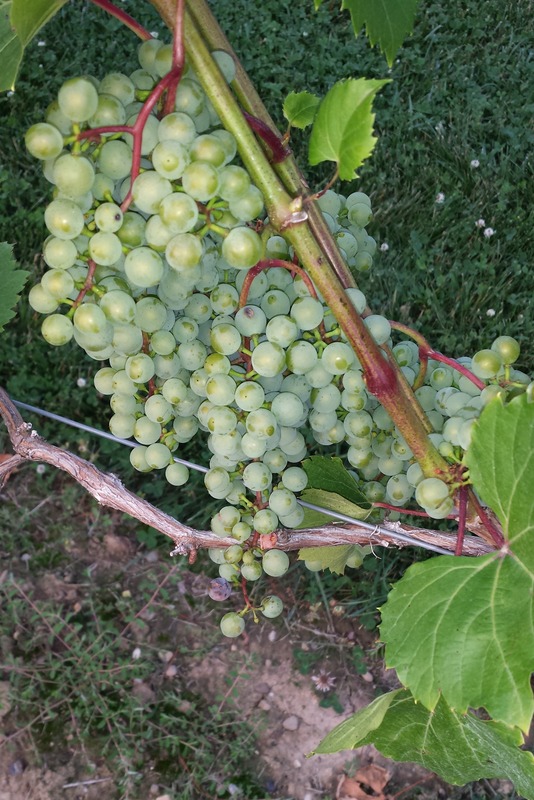 Jesus illustrates that in the Gospel reading by using the image of the vine. In a vine there are many entwined branches, winding their way around each other in intricate patterns of tight curls. What this image suggests, then, about community, is that there are no free-standing individuals in the community, but branches which encircle one another completely. The image of community is one of interrelatedness. The world needs to connect with God and people in ways that have depth and can last. That is the challenge before us.